Comparative Reading questions first appeared in the LSAT in 2007. Our new 10 Actual, Official LSAT PrepTests book is the first one ever to include previously administered Comparative Reading questions. 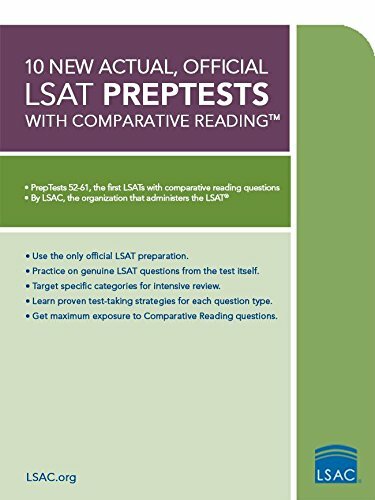 This essential LSAT preparation tool encompasses PrepTest 52 (the September 2007 LSAT) through PrepTest 61 (the October 2010 LSAT). For pure practice at an unbelievable price, you can't beat the 10 Actual series. Each book includes: 10 previously administered LSATs, an answer key for each test, a writing sample for each test, and score-conversion tables.